SALE PRICE $11,995 - SAVINGS OF $1,000!! TOP FEATURES: Bluetooth, Keyless Entry, Low KMs! 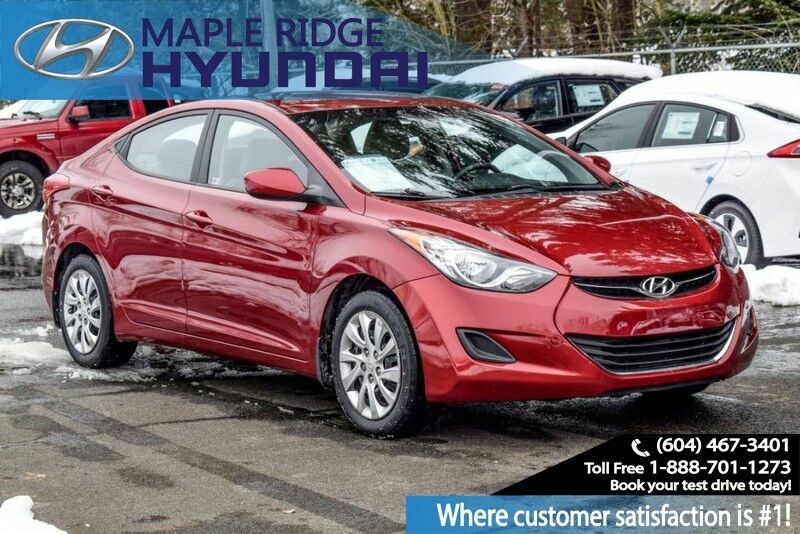 HISTORY: This Hyundai Elantra has been registered in BC since the date of purchase by the original owner. Regular maintenance has been done and servicing has been kept up with locally in BC. It has been majorly driven on the highway. INSPECTION: We have completed a full mechanical inspection on this vehicle. An oil change has been performed as well as nitrogen installation in the tires. The recalls for this vehicle have been checked and completed.